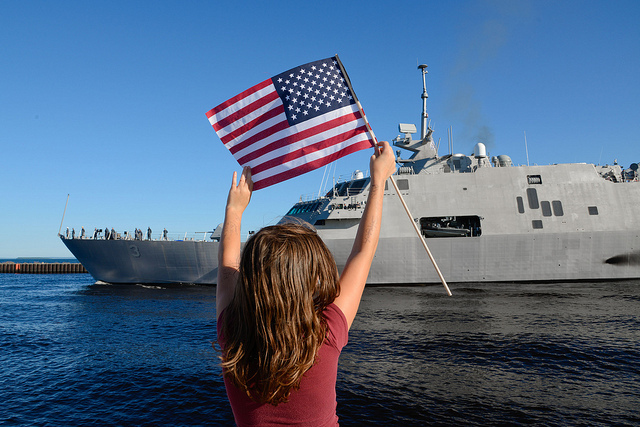 In one of his last major decisions in office, US Secretary of Defense Chuck Hagel has decided to continue production of the two Littoral Combat Ship (LCS) designs. The US Navy had been directed to examine alternatives to provide the final 20 hulls of the full 52-ship concept. Secretary Hagel had serious concerns over what was being provided with the LCS and sought a more capable and ‘tougher’ small surface combatant. And he had reason for those concerns. While the two high-speed ship designs represent, within limits, some of the latest thinking on hull forms, the LCS has—to this point—possessed only token military capability. The poorly-armed and sensor-deprived LCS sacrifices a great deal for its high speed, including range and, arguably, damage resistance. Both designs displace as much as many conventional-hull frigates (Freedom displaces 3354 tons and Independence 2841 tons) and they aren’t really ‘small’ ships in the eyes of any navy other than the USN. The modular ideals for sensor and weapon packages have yet to be realised in any significant way, being largely focused so far on embarked fast boats, UAVs and boarding parties. Still, at a time when the USN has serious concerns over total hull numbers in the fleet and so much has already been invested in the LCS project, it’s no surprise that continuation of the LCS program has been chosen over any of the 18 alternative designs which the USN considered. Whether that would have been the case had the navy been starting with a blank sheet of paper must remain a moot point. 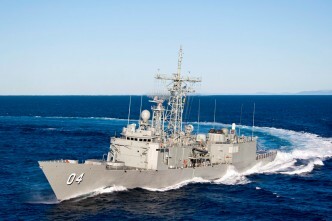 The modified units are likely to carry—in addition to the 57mm gun already in the design and the weapons such as the short-range RAM anti-air and HELLFIRE anti-ship missiles that are part of the existing plans for weapon packages—an over-the-horizon anti-ship missile, an upgraded three-dimensional radar and electronic-warfare equipment, together with a towed-array sonar and torpedo countermeasures. Internal armour will be installed, and there’ll be renewed efforts at signature reduction. The USN is claiming that the ships will cost US$60 to 75 million more than the original, Flight 0, versions of the LCS but it should be emphasised that this almost certainly relates to the hull, propulsion and hotel systems and not to the mission packages. 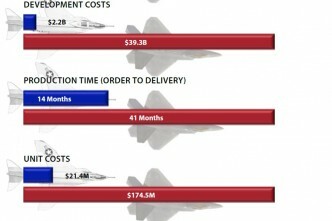 While the USN is quick to emphasise that the original LCS have come in at under US$500 million per unit, that figure doesn’t include the expensive weapons and sensors that represent a significant proportion of the real cost of any modern combatant. The USN will also consider what in the new package can be retrofitted to the Flight 0 fleet. Although many of those units are likely to have a primary mine-countermeasure role, they represent too large a proportion of the future fleet to be left in their current state. 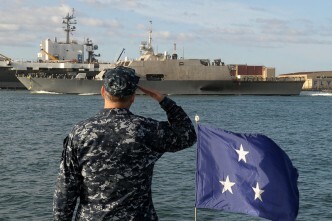 The LCS will no doubt represent an important element in the USN’s forward presence for many decades. As with other troubled ships and systems in the past, there’s little doubt that it’ll be made to work and probably work well. Whether it was what the Americans really needed at the start, however, is another thing. James Goldrick is a fellow of the RAN’s Sea Power Centre and an adjunct professor at UNSW Canberra, Australian Defence Force Academy. Image courtesy Flickr user US Navy.